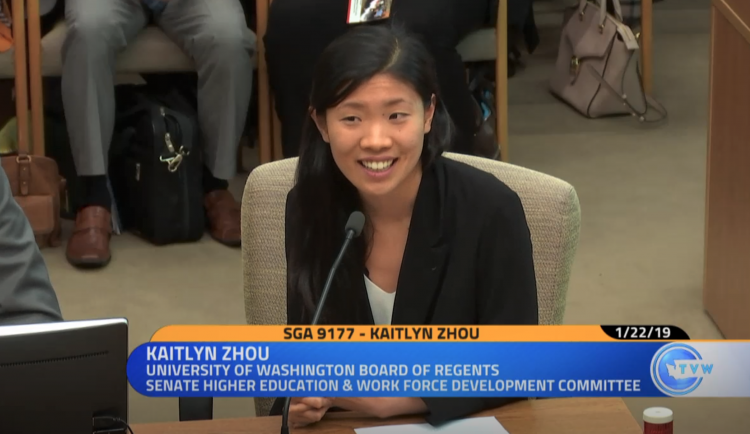 On the same day, the confirmation hearing of Regent Kaitlyn Zhou was held in the Senate Higher Education & Workforce Development committee. Regent Zhou provided testimony about her background and commitment to service to the UW. She was unanimously confirmed by the committee, which means her appointment will now move to the Senate floor for a vote. 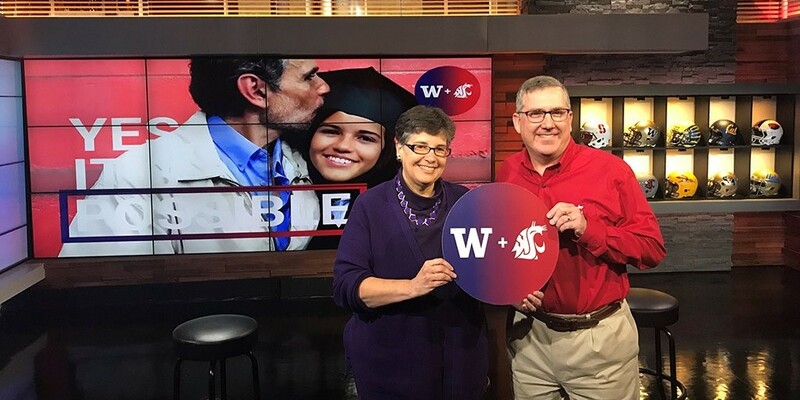 The UW community is proud of Regent Zhou and her leadership. In week 1, Amy Snover, PhD, Director of the Climate Impacts Group and University Director of the NW Climate Adaption Science Center, briefed the Senate Energy, Climate, and Technology committee on the National Climate Assessment and the impacts to Washington state. In week 2, Samuel Wasser, PhD, Director of the Center for Conservation Biology and Research Professor in the Dept. of Biology, presented before the Senate Agriculture, Water, Natural Resources & Parks committee on wolves in Washington and his team’s predator/prey research. 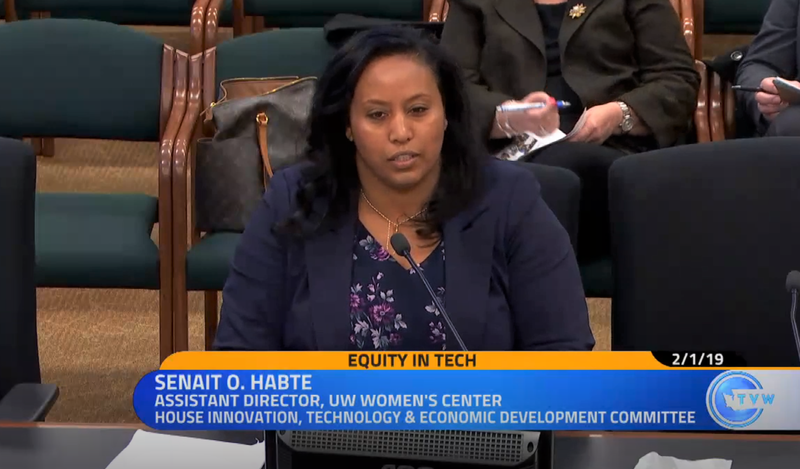 In week 3, Senait Habte, Assistant Director & Making Connections Program Manager at the UW Women’s Center, made a presentation to the House Innovation, Technology & Economic Development committee on the issue of equity in the tech center. Our experts provided legislators with valuable information that will help inform decision making and the legislative process throughout session. 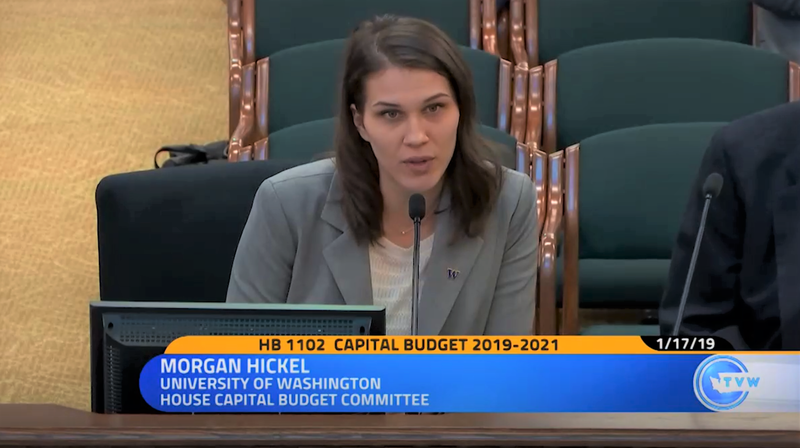 Morgan Hickel, Associate Director of State Relations, testified before the Senate Ways & Means committee and House Capital Budget committee on the Governor’s proposed capital budget. She applauded the funding the Governor provided to construct a new health sciences education building in Seattle and encouraged legislators to support this request. She also highlighted our additional capital budget requests and asked legislators to include these important asks in their final budget.